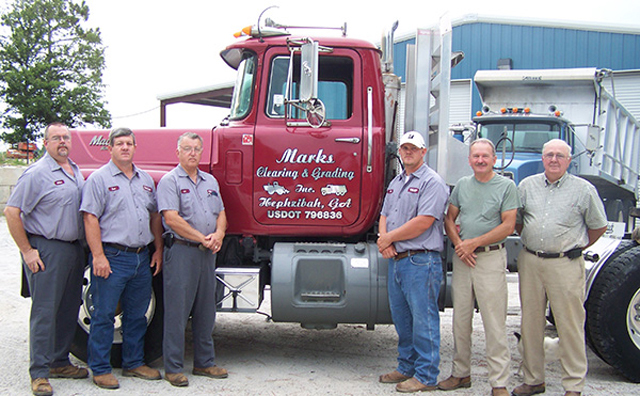 Marks Clearing & Grading began in 1974 as Marks Brothers Construction Company. Brothers, William “Buddy” Marks and Jerry Marks both had a desire to go into the land clearing business in addition to keeping their full-time jobs. 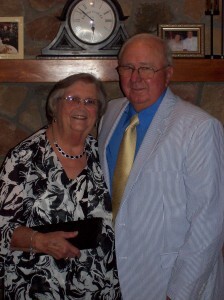 Their first purchase was a small bulldozer and a 1964 Chevrolet flatbed truck. They began their land clearing business mainly by cutting-in roads and clearing farm land. By 1976, the demand for land clearing had grown to a point that it could not longer be handled on a part time basis. After much prayer, it was decided that Buddy would quit his job and would take over the business on a full-time basis. At that time, the name of the business was changed to Marks Construction Company. In 1987, the business was incorporated as Marks Clearing & Grading, Inc. By this time, the need for clearing residential lots for new homes was greater than the need for clearing farm land. The business expanded to include hauling sand and gravel for their building contractors. In 1992, the company purchased its first roll-off truck and containers to haul their own clearing debris. This proved to be a much more efficient and cost effective alternative to hauling with flatbed trucks. Additionally, the roll-off containers were also rented out to the contractors to be left on the job site for their own construction debris. The demand for more roll-off containers in the building community continued to grow, and throughout the years more containers and roll-off trucks were purchased. Today, Marks Clearing & Grading has a fleet of six roll-off trucks, hundreds of roll-off containers, two dump trucks, log trucks, and an arsenal of heavy equipment to tackle any land clearing and grading project. In July, 2012, a second company was formed to meet the demands of the growing demolition side of the business. “Marks Demolition & Environmental Group, Inc.” obtained certification by the State of Georgia as a licensed Asbestos Abatement Company on October 29, 2012. Grandson, John Partridge, is the Principal Agent for the demolition company and handles the day-to day operations.